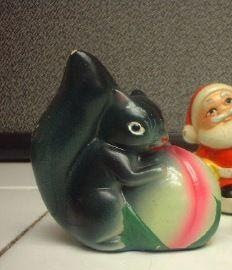 Another set of salt and pepper from Mom's collection....these really appealed to us when we were kids. 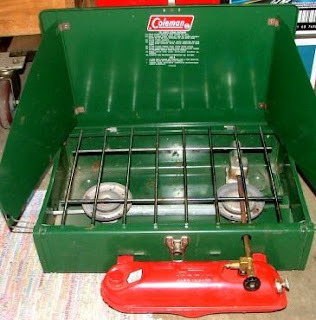 We had a Coleman stove like this and took it when we went camping. I remember watching Dad pump it up and then lighting it. It was used daily to cook meals for 8 people.......I can't imagine how my parents did it but they did. 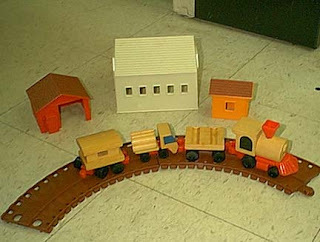 My younger brother owned this train. To make it go all you had to do was wind the smoke stack. I don't think his tracks were brown, I think they were blue. I remember he played with it a lot and it was cute until he tried to run it through our Barbie doll set up! One of my sisters owned this Ziggy stuffed doll. 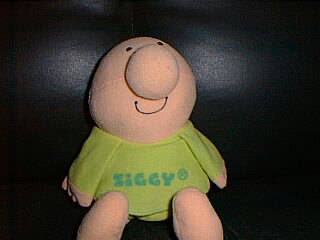 Ziggy was popular in the 80's and we had other things with Ziggy on it as well. 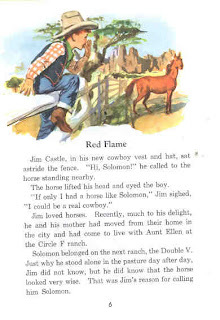 I bet a lot of people read this when they were in school. 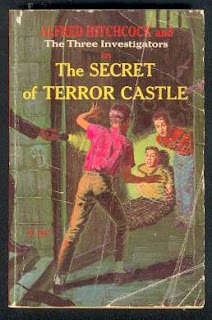 I read this version when I was in junior high. 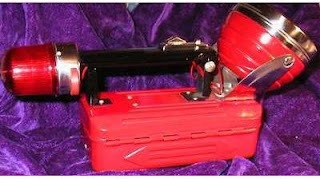 This flashlight was always on the shelf in the utility room. I don't remember it being used much but we probably took it with us when we went on holidays in the camper. Every now and then we'd take it down to pick at it (I mean play with it). It had a light at both ends and if you switched it on in a certain position the light would flash out the Morse code for "SOS". 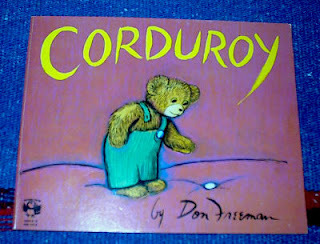 This was my sister's book, it was all about Corduroy the Bear and how he went looking for his lost button in a store one night after it closed. This book was on the shelf in my brother's closet but I never read it. I rarely read boy's books. 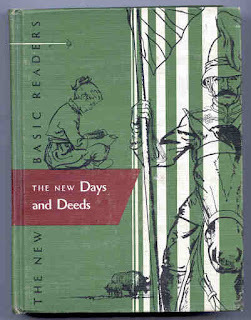 My older sisters and brother used this reader in school. 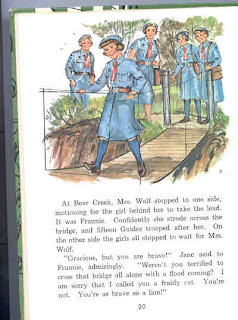 Apparently they were allowed to keep their school books because this reader and a few others were in our bookshelves at home. I loved the stories in it. 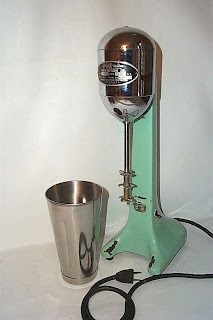 We owned a milk shake maker like this, it was a heavy duty restaurant type. My sister still uses it today. 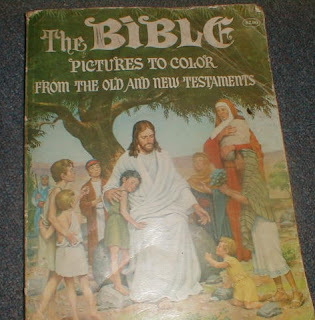 My sister and I both had this colouring book. 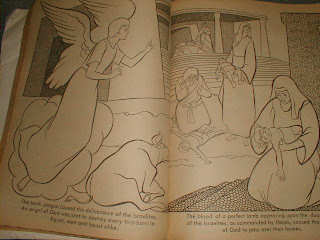 It was a big colouring book and since we went to Sunday School we knew all the stories in it and enjoyed colouring them. 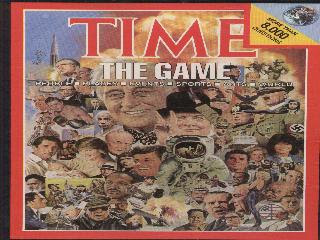 I remember playing this as a teenager, my older sister probably owned it. I think it came out during the 80's, probably after Trivial Pursuit came out. It seems there were a lot of trivia games on the go then. I remember the questions in this game as being a bit difficult, and I was usually good at trivia. 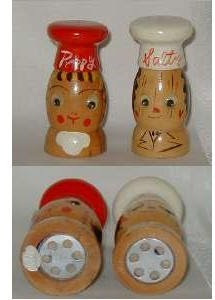 Another set of salt and pepper that Mom owned. 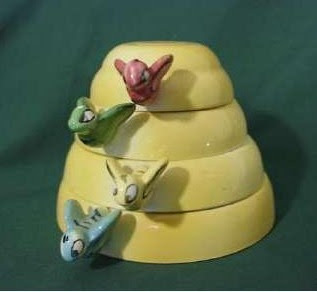 We always wanted to take these down off the shelf and turn them over because they made a noise, sort of like a squeaky cow or sheep noise. I think this was my younger brother's. I don't know why I remember it but I do! 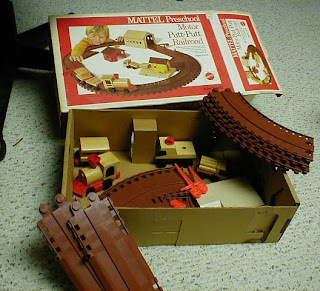 This was my younger brother's game, my sister and I gave it to him one year for Christmas. You can still buy this game today, I guess some toys stand the test of time. 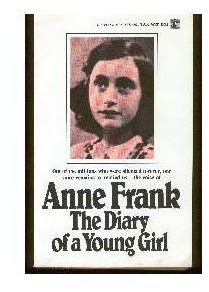 This was my book. 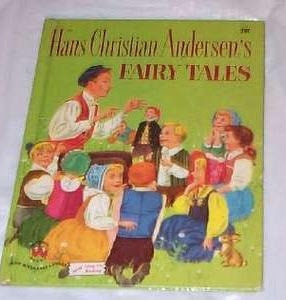 I only remember one of the fairy tales in it, Thumbelina. 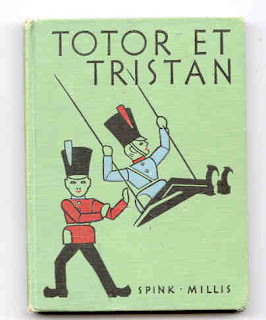 I think my older sister used this French book in elementary school. It was around the house with the rest of our books but I didn't use it in school. 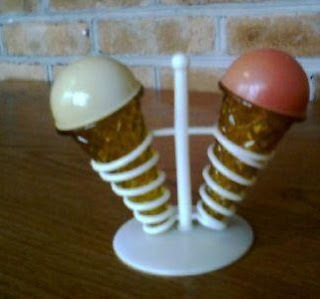 My aunt owned these and I saw them often in her cupboard. I thought the little stack looked so cute but I never knew they were measuring cups until one day I asked her what it was. 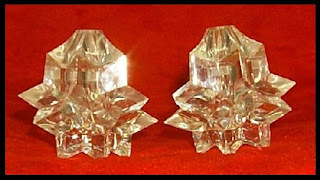 Mom owned a few of these, some she used as salt and pepper shakers and some she used as candle holders (simply take off the top and it made a perfectly good candle holder). I think she used them only at Christmas. 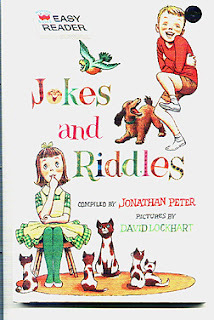 This was my book, it had a joke or 2 on each page with drawings. I still remember many of them! How did the farmer raise strawberries? Why did the girl brush her hair before going to bed? Because she wanted to make a good impression on the pillow. 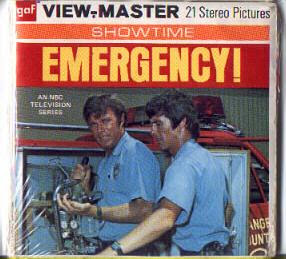 These view master reels were my brothers. I think they showed a few scenes from some of the tv episodes. We also liked watching the show. 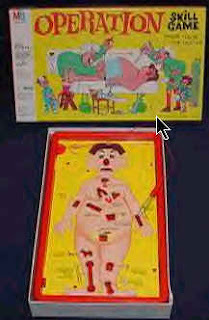 This was my younger sister's game. It was actually Mini Mastermind, I guess a travel version of the game. I have never seen the regualr version. We played it a lot, it was fun and made you think and use logic.